Michael often hears from people through recommendation and referral from previous clients of course, but it is important that a person finds the right therapist or coach for themselves and feels confident and comfortable with them. This can often be a difficult task. This FREE consulation service by telephone or Skype therefore might be helpful to you. It is also important that the therapist is well qualified, has the right qualifications and has a lot of experience too. 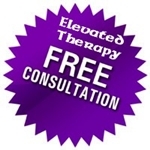 So, this FREE service is for people who are considering professional therapy or coaching for themselves with Michael, and know nothing about it, and are daunted by the prospect of it because they don`t know what`s involved, cost, commitment or how it might feel etc. Michael`s FREE – up to 30 minute consultation and guidance chat by telephone or Skype could be the first step for you to find out. This is FREE and without any obligation and will be treated in the strictest confidence. You could tell Michael a little about yourself, and you could discuss your issue(s) and objectives and ask any questions you wish. Michael will suggest the best approach to help you, and he will guide you in the right direction, giving you appropriate professional information and advice. This is with no obligation on your part, whatsoever.